When your bags of frozen foods start getting really tiny, they tend to get crumpled and lost in your freezer, leading to food waste and stale freezer odors. 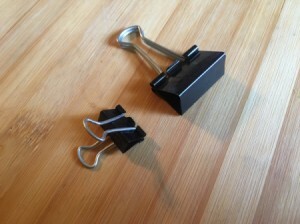 Use binder clips to hang your bags of frozen foods on the rack shelf. Just fold up the bags and clip on the rack from the top. 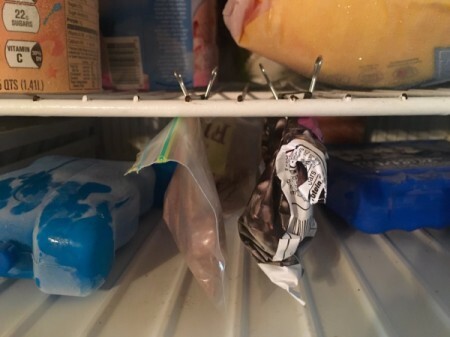 Would that my freezer looked like yours! Mine is usually packed full. My solution is to put small baggies into big ones with other like baggies. Vegetables in one big bag, chicken in another, etc. Then I just have to find the right big bag, pull it out, and get what I need.